A classic Caribbean seaside restaurant and temporary “pop-up” home for Iggies Beach Bar. 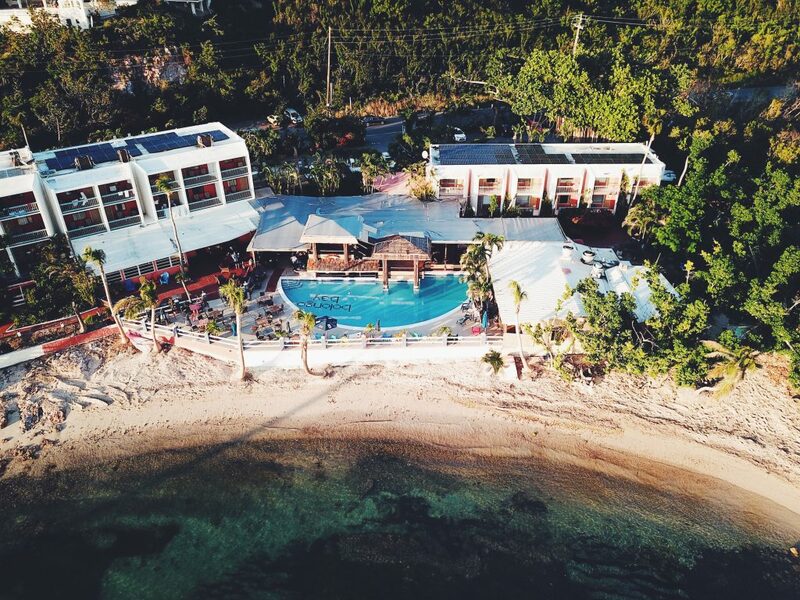 The two-story poolside restaurant at Bolongo Bay most recently known as The Lobster Grille has opened as “Iggies’ Oasis” – a sunny poolside “pop-up” and temporary home for Iggies Beach Bar & Grill following hurricanes Irma & Maria in September. Chef Ryan come up with a delicious new menu using fresh and local ingredients to create meals for everyone to enjoy. Yes, vegetarians, too! Amazing views of the Caribbean Sea and a swim-up pool bar for restaurant patrons. Take a break and stop by for some great food, cocktails, TV’s and a drinks in the pool! Breakfast 7:30 – 10:30am, lunch from 11:30am and dinner 5pm to 9pm. Bar open until midnight! We love connecting on social! Follow us on Facebook and Instagram and don’t be shy – leave a comment or send us a message!